Relax, it’s only henna! 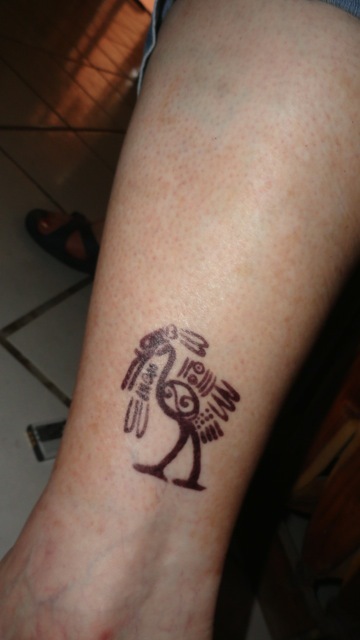 I get a Mayan tattoo on my lower leg every time I go to the beach. It fulfills all my contradictory impulses. with patterns carved into the skin with a sterile knife? this trend to decorate ourselves by means that we can’t change. 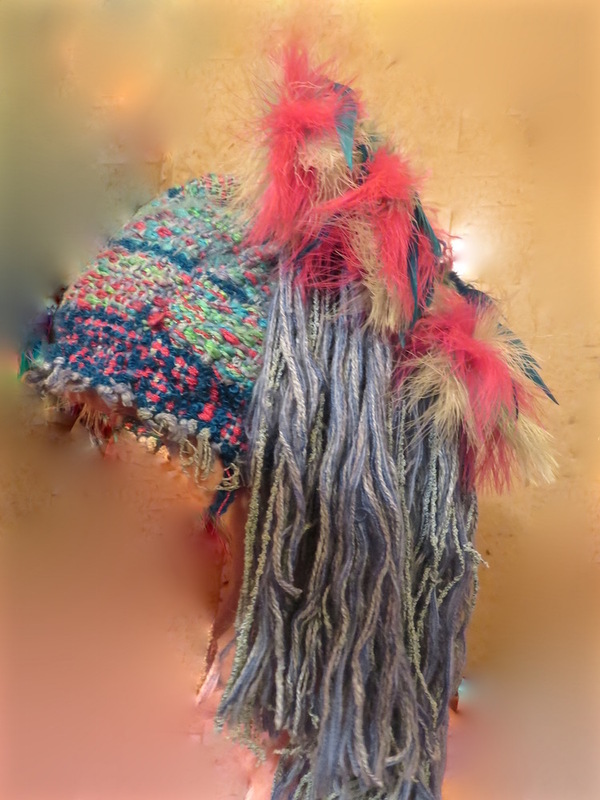 of pink and blue with colored plumes that swayed this way and that. so when I desired a wedding veil, I had feathers instead? were implanted so I couldn’t take them off by any means? those earrings caught upon the vines and brought me to my knees? if worn like I did at twenty with eyeliner ear to ear. might regret them in her forties as she dons her judge’s robes. might regret it as the shots they drink leak out onto their chin. are not still sewn upon my hips now that I am more Zen. and those psychedelic tie-dyes are not printed in our skin. for the choices that we made in youth were not permanent. And, that hat mentioned in the poem? It really existed and still does, although no, I have not worn it in over 40 years. Here it is, a side view! This is my above-ankle tattoo done a month ago. Now almost completely gone, except for a shadow. Relax. It was a henna tat. 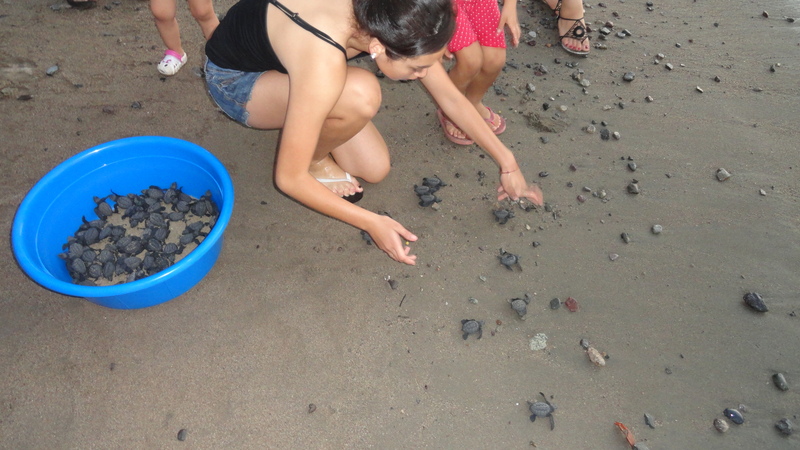 Remember the 200 baby turtles we released into the sea a week or two ago? They are long gone, I hope, but I still think of them every day. 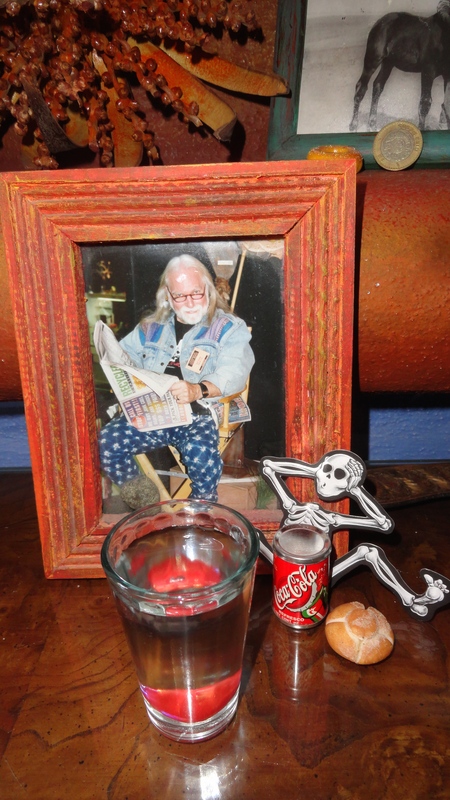 Day of the Dead altars give us a perfect way to remember departed loved ones in a non-maudlin manner. This is my husband Bob who passed away 13 years ago. Yes. He loved very cold Coke and crullers, but I couldn’t find a cruller, so this little pastry had to do. This entry was posted in Memory, Tattoo image, Turtles, Weekly Photo Challenge, Wordpress Photo Challenge and tagged Baby Sea Turtles, Gone but not forgotten, Memorial, Memorials, memories, memory, Tattoo images, Turtles, Wordpress Photo Challenge, Wordpress Weekly Photo Challengs on December 15, 2014 by lifelessons.